Inaugurated late 2009, Seoul's first writers residency has already become the ultimate destination for Korean writers, but Seoul Art Space Yeonhui also welcomes a few foreigners. And in this quiet oasis at the heart of the city, literature almost becomes a performing art. Of course, writing is a solitary process that doesn't require much more than a pen and some paper... or the more or less modern equivalent (from ye olde Underwood typewriter to your latest digital tablet gizmo). But as every writer knows, it does take a little bit more than that, and your direct environment is of the essence. If some need to feel some animation around (exhibit A: the cliche of a chain smoking coffee guzzling weirdo scrawling over the table of a Parisian cafe), most long for quietness and peace (exhibit B: the cliche of a zen caligrapher in a traditional house on a remote island). Writers being humans, they ideally require a certain mix of privacy and social interactions, and writers residencies focus on this fragile comfort zone, providing as a bonus social interactions with fellow scribblers sharing the same delicate moment. Seoul Art Space Yeonhui reaches beyond the usual hosting services to writers*, from supporting literary activities to international networking. 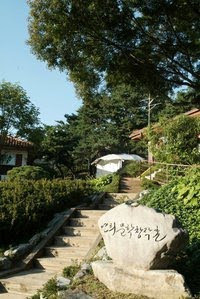 Furthermore, the site is open to everyone and gives all Seoulites a unique opportunity to attend public lectures, or simply to enjoy a stroll in a charming site. After all, literature doesn't belong to anyone but to everybody, and this is a public initiative. Like other Seoul Art Space / artists residencies**, Yeonhui center is operated by the SFAC : the Seoul Foundation for Arts and Culture are also in charge of such events as the Hi Seoul Festival, and their aim is to make Seoul a creative cultural city by leading all citizens to participate in arts. Giving a cultural purpose to abandoned sites lies at the root of the Seoul Art Space concept, and this one used to host the City Story Compilation Committee of Seoul but hadn't been used for half a decade. So when the metropolitan government considered selling the place, SFAC had the good idea to transform it into a "literary nest". During my visit yesterday in this "literary nest", under a bright sun and between two subzero cold waves, many birds were singing. I mean literally - I did meet a couple of creative residents but here, on the top of a small hill overlooking Yeonhui-dong, you do hear birds sing : no traffic noise, and you quickly forget that you're in the middle of an hyperactive megalopolis. You're welcomed by a metal gate composed with Korean alphabet (definitely more zen than Elvis' Graceland) and a wall of fame with the handprints of famous contemporary Korean authors, but your eyes are immediately attracted to the peaceful setting : four low rise buildings surrounded by pine trees, a winding path following a gentle slope with mountain tops in every directions, a cute outdoor theater to give or listen to lectures from writers who sometimes turn into actual performers... The ideal nest indeed, complete with a Literary Media Lab and even an Artists' Playground. 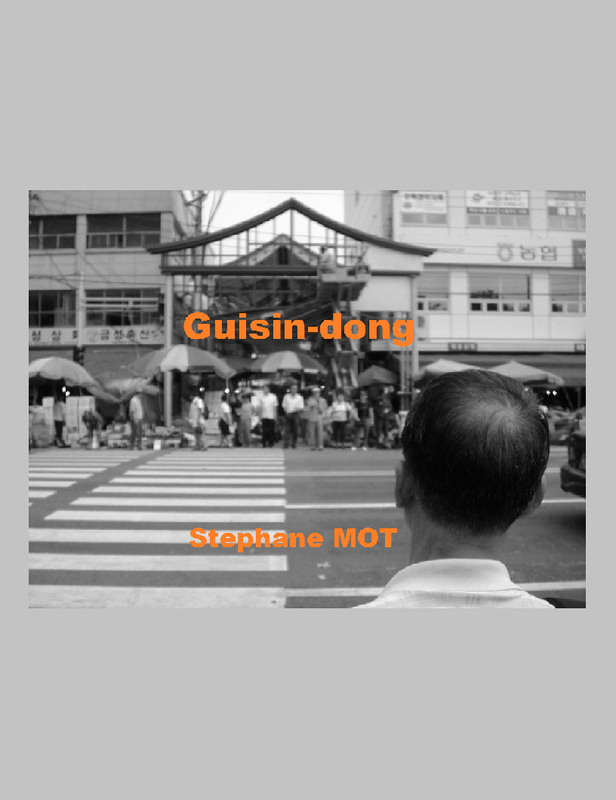 At least in Seoul, being an author is not always a curse. * Poets, novelists, playwrights, literary critics, translators of Korean literature, authors of children's books may apply, generally for one to three months (ideal for a book leave). They must use their private writing studio at least 15 days a month. 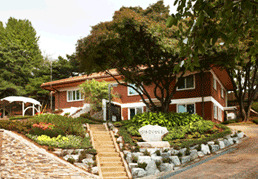 Note that the fees are very low: 5,500 won per 3.3m2 (VAT included) for a writing studio. More about residency applications on the website. The history of this space goes back a bit further than noted, and might be of interest. Seoul Art Space Yeonhui began as the housing 'compound' for missionaries to the Lutheran Church in Korea almost fifty years ago. Those of us who once called it home are fascinated by the regeneration of the space. Those woods, those buildings, those pathways - they are laden with memories. Thank you Sara for sharing. There is still today something about this place, and I'm not surprised to learn that people of faith chose to live there. It reminds me of that monastery in the middle of Gireum New Town, Seongbuk-gu. A green island in a concrete jungle: flat but now a tabletop since they carved the hill all around to build the apartment blocks. I'll upload the picture.